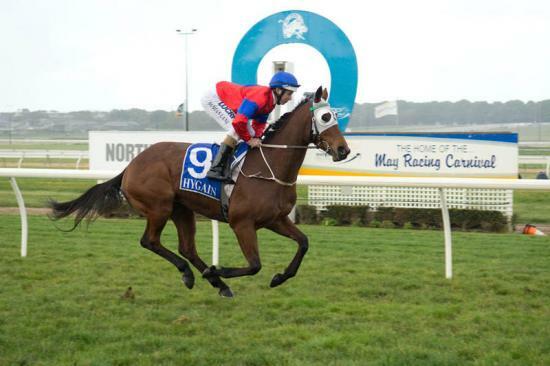 OVAHEAD saluted for the second time in her career with an impressive five length win at Warrnambool on Sunday in the Benchmark 64 F&M over 1200 meters. With Damian Lane in the saddle, she was able to get a cushy run out in front, dictating the race on her own terms. She appeared to revel in the wet going with nothing able to get near her. She has now had 8 starts for 2 wins and 2 placings.